Soccerland is about a girl. Her name is Flora Dupre. Her mom died of cancer. When she went to visit her mom in the hospital they would always talk soccer. And how Floras dream is to play for the U.S. Women's National Team. Before her mom died she promised her that she was going to play soccer. And that's what Flora is determined on and she wont quit until she is there. So a little about the Dupres. You already know about Flora. She is a teen girl from Maine whose life is set on soccer. Her mom passed away from cancer. Her dads life is mainly focused on the potato farm and he is going through depression from when his wife died. Floras Grandma supports Flora and her dream all the way. Floras grandpa supports flora but his number one priority is the potato farm. Then lastly there is Remi Floras favorite cousin he is there for flora and he supports flora he is like a brother to flora. Which character do I relate to most? And was there a character i disliked? I relate to Flora most because in the book flora has to deal with prissy stuck up girls which to be honest she takes well, she is determined on doing well in her sport, and she is herself. and honestly that sounds like me. I got attached to the book so much because of Flora. No there wasn't a character i didn't like. Did any characters in this book remind me of characters in another book i have read? A little because both of their moms were in the hospital only difference between that is Floras mom died and Carleys mom didn't she is just recovering. There is no crying in soccer... That is my favorite because its true. 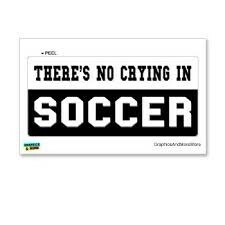 Its okay to cry but you have to be tough on the the field so people don't take advantage of the fact you're upset. Sometimes you have to toughen up and play your hardest even if you are upset.